Once again, we Whovians are faced with that time of bittersweet anticipation/excitement as one Doctor exits, and another enters. The announcement was made this morning that the 13th incarnation of the beloved Doctor (or 14th, if you count the late John Hurt’s War Doctor) will be…. Well done, powers-that-be of BBC’s Doctor Who. As I see ever-growing numbers of DW cross-players at conventions (gender-role reversal cosplay, for the uninitiated), I think this was a decision that was a LONG time coming. In fact, I’d go so far as to say Doctor Who might even enjoy a slightly higher female fanbase here in the United States. The show has always been very inclusive, at least in its current 2005 onward incarnation. Different ethnicities have been a constant on the show; which also has enjoyed a higher-than-average LGBTQ representation; with the omnisexual Capt. 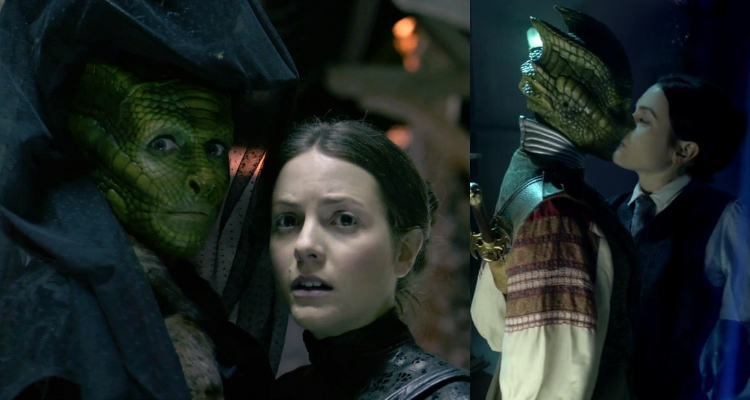 Jack Harkness (played by the insanely charming John Barrowman), the recent, openly gay Bill (Pearl Mackie will be missed), the cross-species’ lesbian couple Madame Vastra (a reptilian Silurian) and her human wife Jenny, and the recently gender-fluid Master/Missy (the memorable Michelle Gomez); who most recently met her previous self (played by John Simm) in this season’s finale. The DW audience, or at least the cross-section I see at various conventions, includes all sorts; all colors/ethnicities, as well as the entire spectrum of human sexuality. In fact, I’d say (or hope?) that fans of science fiction series tend to be somewhat progressive and inclusive by nature, since they are often looking forward a bit more than most (though in DW? The future and past tend to get a little bit timey-wimey…). Here’s hoping this trend of inclusivity never reverses. Representation matters. People of all sizes, shapes, colors and sexualities NEED to see themselves in science fiction if, for no other reason, to reinforce the idea that there is a place for everyone in the greater amalgam of humanity seen in science fiction and fantasy. And all the best wishes to Jodie Whittaker. 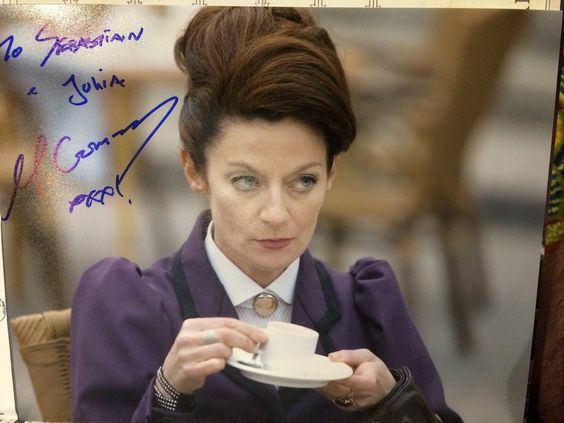 I have no doubt that, at the end of her run on her show, we will be lamenting her exit as much as we lament EVERY Doctor we Whovians find ourselves inexorably bonded to over the course of their adventures. 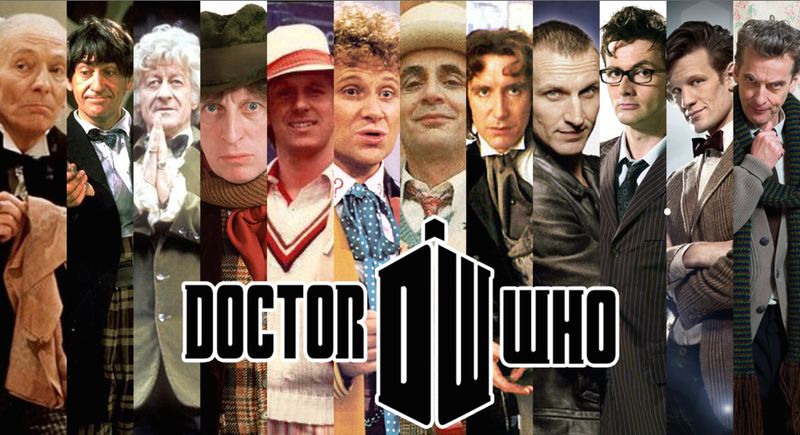 This is interesting for me because I am, as I like to call it, a Dr. Who fan by proxy. I’ve only ever seen one episode, but I’ve spent so much time around people who love it that I still get a lot of the references and have a pretty good understanding of the mythos (for someone who’s only seen one episode). This actually has me mildly tempted to give Dr. Who another shot, just cause Jodie Whittaker was in Attack the Block, which is one of the best movies ever as far as I’m concerned.